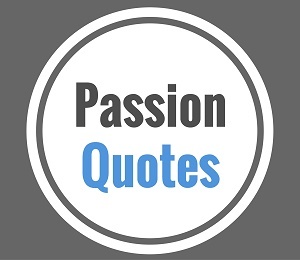 Quotes on achievement are not just about making a key point in a presentation. Great leaders throughout history have made a point of identifying and mastering the rules of higher achievement in order to gain the optimal advantage over their competitors. These leaders understood that achieving great things in life doesn't happen by accident. 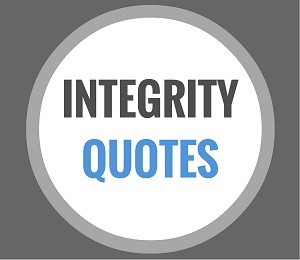 There are proven paths to success and many of the secrets involved are explained in famous quotations. Successful people know that in order to achieve new heights, one must stretch their perceived limits. In doing so, doors tend to open and new horizons can be viewed. "Excellent leadership and self-development tools and tips which nurture the mind, body and soul." The fact that you are viewing this page is an indication that a spark has been ignited in you to increase your performance. You seek to do more, achieve more and reap greater rewards for your efforts. Wanting to be your best self, and getting more out of life is a good thing. After all, we can only give to others in relation to our available means. Therefore, the more money we can make, the greater opportunity we have to help more people. One way to keep yourself inspired is by nurturing your soul with positive, uplifting and motivational quotes on achievement. When you are focused on achieving more, and you take steps daily toward your goals, it's only a matter of time before you achieve your objective. 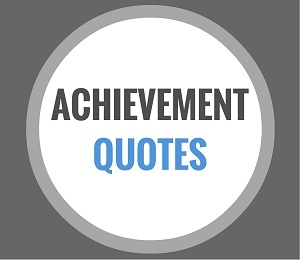 We hope you'll enjoy these selected achievement quotations. "Chance can allow you to accomplish a goal every once in a while, but consistent achievement happens only if you love what you are doing." "Cherish your visions and your dreams, as they are the children of your soul, the blueprints of your ultimate achievements." "The man who does things makes many mistakes, but he never makes the biggest mistake of all - doing nothing." "The ones who want to achieve and win championships motivate themselves." "A young person, to achieve, must first get out of his mind any notion either of the ease or rapidity of success. Nothing ever just happens in this world." "Achievement is largely the product of steadily raising one's levels of aspiration... and expectation." We recommend that you begin collecting quotes on achievement that you feel align with your beliefs and values. 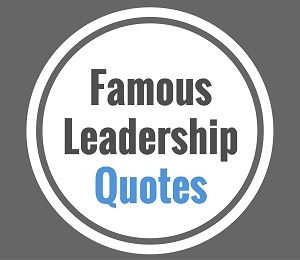 By collecting memorable quotations and referring to them often you will begin to incorporate those same ideas and practices into your leadership style. Over time you will find yourself repeating to others the same important sayings and phrases that stuck out to you. By standing on the shoulders of the great leaders before you, you can leverage quotes on achievement to encourage and motivate your staff. Be sure to observe how your people begin to respond to your thoughtful and well planned direction. By using wise words on a consistent basis, people will begin to view you as someone who is knowledgeable and credible as a leader. Become a leader that people want to follow. 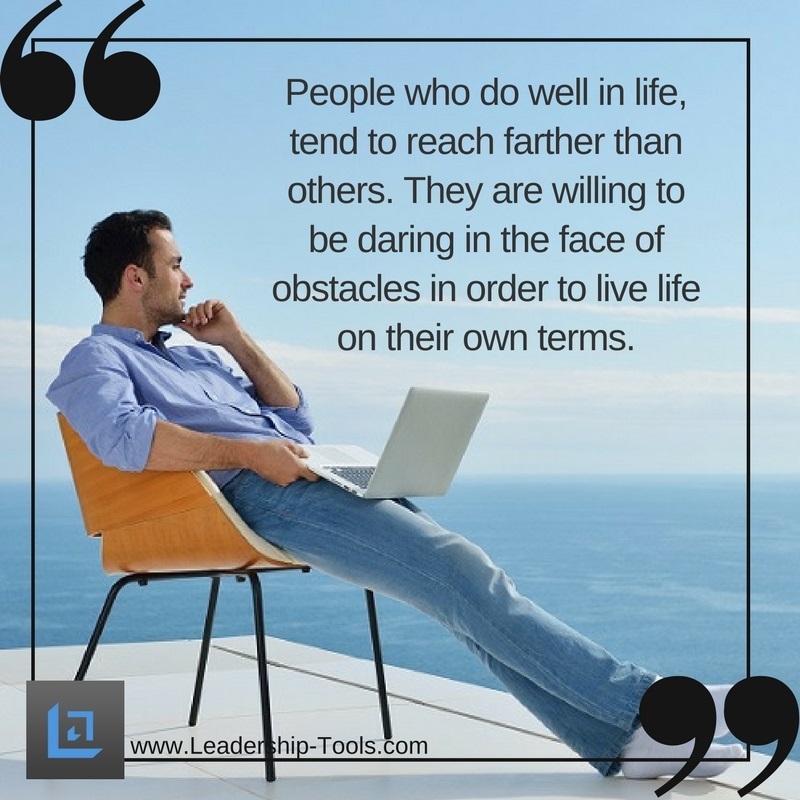 Be the leader that people wish to emulate as they develop their own leadership traits. For more quotes on achievement and leadership related topics, see below - and don't forget to check out our leadership quote boards on Pinterest.